Last year, the rain delay made Deb change her Mardi Gras 5k into a St. Patrick's Day 5k. 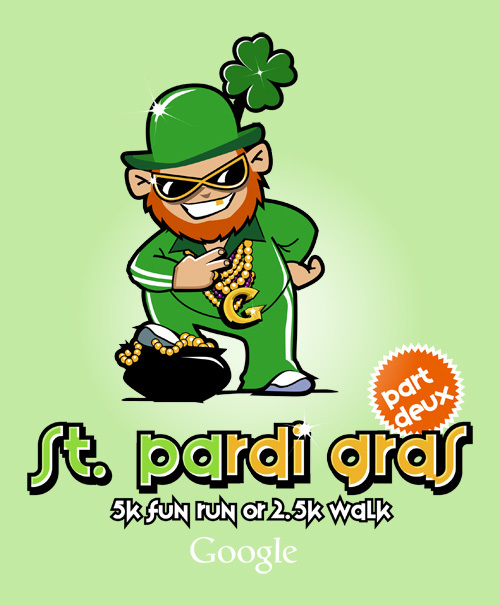 The shirts were already printed, though, and so it became known as the "St. Pardi Gras 5k." This year we kept the theme going. ai gostei do bonequinho bonitinho!!!!!!!!!! ELE NÃO FALHA COM O POBRE E O RICO QUE NELE CONFIA . Wonderful information here, i do really appreciate it. Abstract backgrounds for Christmas vector. Set of 6 light vector abstract backgrounds with branches for Christmas graphic designs and printing.